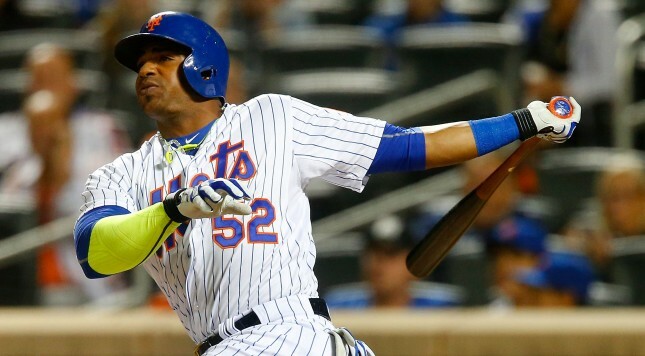 Cespedes arrived in style on Wednesday — only to find out that he would be forced to eat square waffles. Which, the Mets star apparently does not do. So what does a superstar do in a situation this dire? Tell a team staffer to hop in your $400,000 Lambo —€“ the same one that shoots flames out of the tailpipe — and buy a round waffle maker. So to review, Cespedes gladly let a Mets employee drive his $400K car to go and buy a $30 waffle maker because heaven forbid his waffles have corners. This is a real, honest to goodness story that ended well because the staffer didn’t crash the car. I’m sure that Cespedes’ good friend Jerry Seinfeld would have loved to use this as a script for his old show.